9399-foot Baden-Powell is the second highest summit in the San Gabriel Mountains. 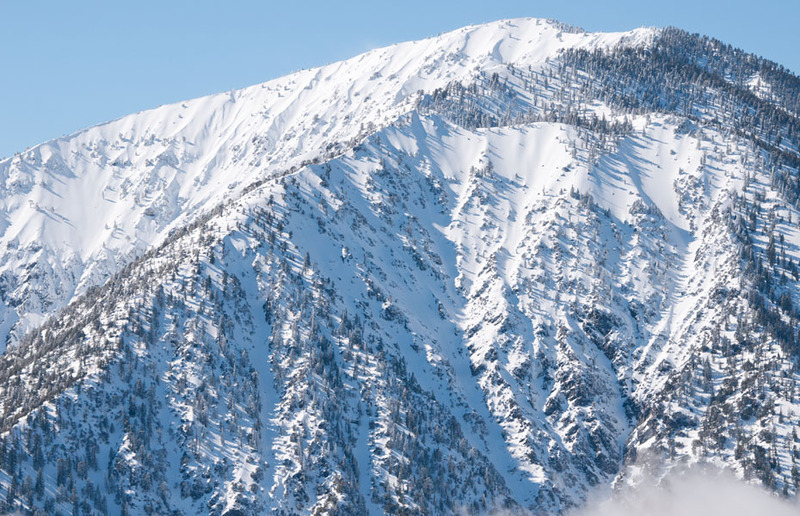 Named for the founder of the Boy Scouts, Mount Baden-Powell features steep east (shown) and north flanks, both of which see regular avalanche and rockfall activity. Easy access from Highway 2, however, make the peak a tempting target for Southern California backcountry skiers.